Dayle B. Klett, the son of Charles and Mabel Klett, was born in Everly, Iowa on April 12, 1924. Klett played baseball at Everly High School and was on the school basketball team that went to the State tournament. He began playing American Legion junior baseball with the nearby Hartley team in May 1939 and helped them defeat Cherokee, 9-6, in their first game of the season. 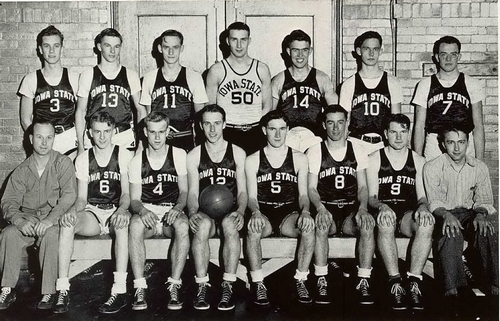 Klett graduated in 1941 and entered Iowa State University, where he played varsity baseball. During the winter of 1941, he was playing basketball for the Everly town team and helped them beat Buena Vista College, 38-29 on December 11. On August 16, 1943, Klett, just 19 years old, left Iowa State for Minneapolis, Minnesota, where he was called to report for naval reserve service. He was immediately assigned to Naval Air Station (NAS) Ottumwa for primary flight training. Cadet Klett had been in the service just four weeks when, on September 17, 1943, he was in the air in a Stearman N2S-2 Kaydet two-seater trainer with an instructor when something went wrong with the plane. Both the instructor and Klett bailed out safely and were descending by parachute, when the unmanned plane circled around and collided with Klett, killing him instantly. Military rites were held on September 21 for Dayle Klett, with a service at the home of his parents followed by a service at the Methodist church in Spencer. Klett is buried at Lone Tree Cemetery in Everly, Iowa. 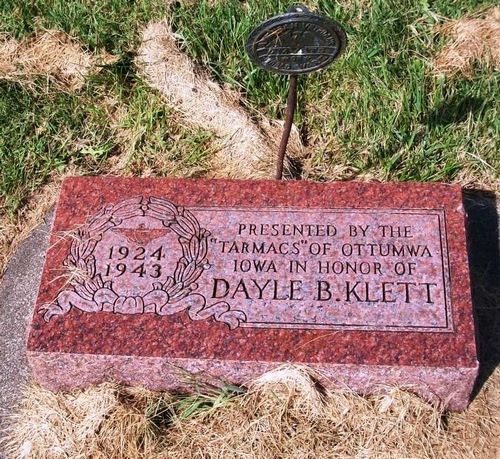 The grave of Cadet Dayle Klett at Lone Tree Cemetery in Everly, Iowa.